» Get your benefits RIGHT NOW! 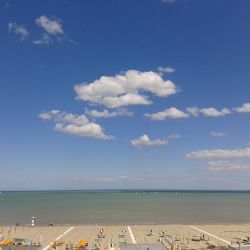 Juny 2019 children at the sea, free in Milano Marittima! Book one of our offers in All-Inclusive (Full Board) in Milano Marittima: with our packages you can enjoy the beach at the price of 625 €! How can you have a good time in summer, without seizing one of our offers for July in Milano Marittima? Discover our Last Minute for July and come here in Romagna, where a lot of events near the hotel will be a good alternative for that days that you don’t want to spend at the beach: our theme parks are a good alternative too! With the special offers for July in Milano Marittima, you will be only 10km away from the famous amusement park Mirabilandia. Special discounts for your childrem! *Contact us for a custom-made quote based on the type of room and your family unit. 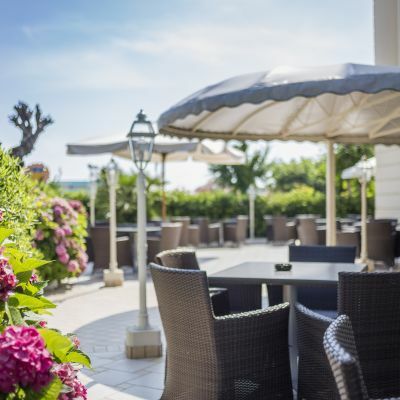 The holidays in Milano Marittima are a combination of sun, sport and fun. You can play tennis in the afternoon near the hotel or play golf, but you can also play beach volley ball at the beach or take sailing lessons. If you love exploring nature with bicycles then you can take a ride in the park near the hotel. By choosing the month of July for your holidays you can take part to many events that are held in this period here in Romagna. The Hotel Riviera is a popular destination for many families with children, but also for friends, couples and singles. 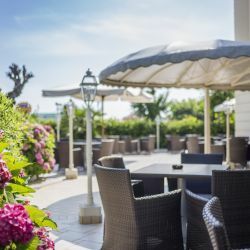 The Hotel Riviera and Milano Marittima are the only two things you need for your relaxing but entertaining holiday at the beach. We have different types of rooms, with and without sea view, from the single rooms to the family rooms and the suites. 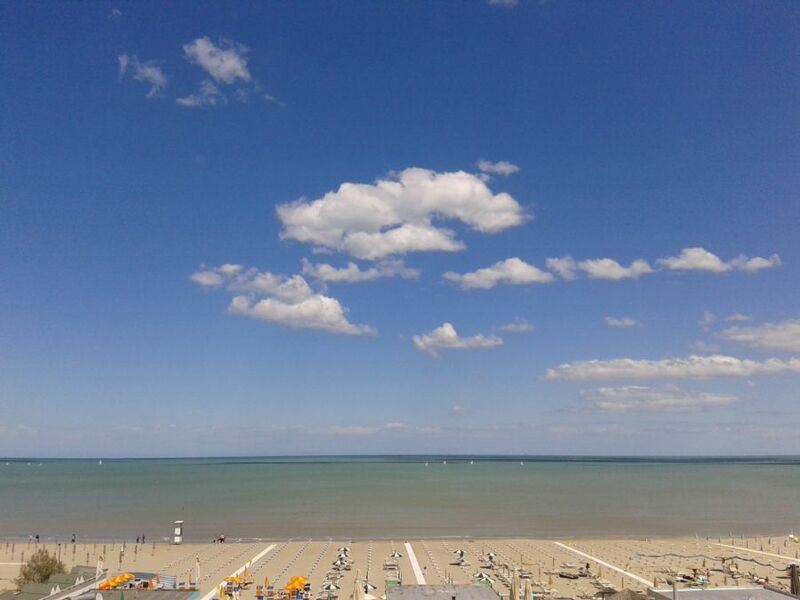 We are waiting for you here at the beach of Milano Marittima!
" I've spend ten days with my family in this hotel from the end of June till the 4 -th of July. Everything was excellent! Nothing to complain. The food was exquisite, the rooms were very clean and comfortable, the staff was helpful. I would definitely recommend this hotel. I've been in 4 and 5 stars hotels that had lower services than Hotel Riviera. The position , on the beach, is also a plus. We enjoyed our holiday so much that we want to spend our next summer holiday in Hotel Riviera.Thank you Hotel Riviera for a great holiday! " I've spend ten days with my family in this hotel from the end of June till the 4 -th of July. Everything was excellent! Nothing to complain. The food was exquisite, the rooms were very clean and comfortable, the staff was helpful. I would definitely recommend this hotel. I've been in 4 and 5 stars hotels that had lower services than Hotel Riviera. The position , on the beach, is also a plus. We enjoyed our holiday so much that we want to spend our next summer holiday in Hotel Riviera.Thank you Hotel Riviera for a great holiday! You love having an aperitif gazing at the sea? The first one is offered by us!